This frame is designed to be used with Full size bedding without measuring or mistakes and no tools are required for assembly. Longer side rails combined with one piece, pre-sized cross arms provide the ultimate in support and greater protection for bedding. Deeply recessed, double strength all-steel legs and special rug rollers provide safe and easy movement over carpeted or hard floor surfaces. 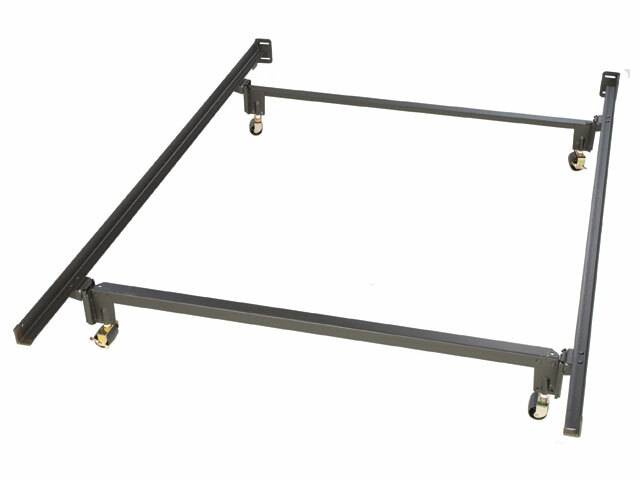 This frame is designed to be used with Full size bedding without measuring or mistakes and no tools are required for assembly.